Earn cash back where you’re already spending. Now as a NerdWallet member, you can earn up to 10% cash back at the places you love — with the card you already carry. Connect eligible cards to your NerdWallet account in just minutes — all for free. Tap into the best deals and offers at participating stores and restaurants. You do nothing. Your cash back arrives as a statement credit to your credit card bill. NerdWallet Cash Back is as easy as it gets. Your rewards automatically appear as a statement credit to your credit card bill. To make things even easier, you only have to earn $10 worth of rewards before the credit is initiated. It’s like autopilot for cash back. Combine the benefits of your current card with NerdWallet Cash Back to supersize your rewards. You’ll still earn everything your current card offers — whether it’s miles, cash back or another perk — plus an additional 2-10% cash back when you shop at participating stores. 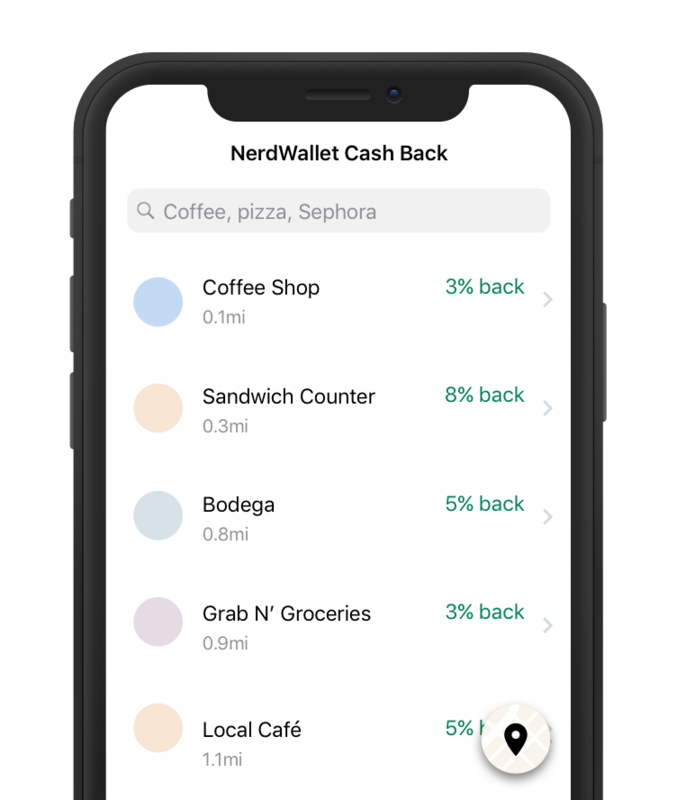 Start earning more cash back by connecting your debit and credit cards to NerdWallet Cash Back. Wanna know more? We’ve got you. Is NerdWallet Cash Back free? Yup! NerdWallet Cash Back has no fees, no commitments and no cost to you. For more details, check out the Terms of Service. How do I cash out? Getting paid is as easy as earning cash back. 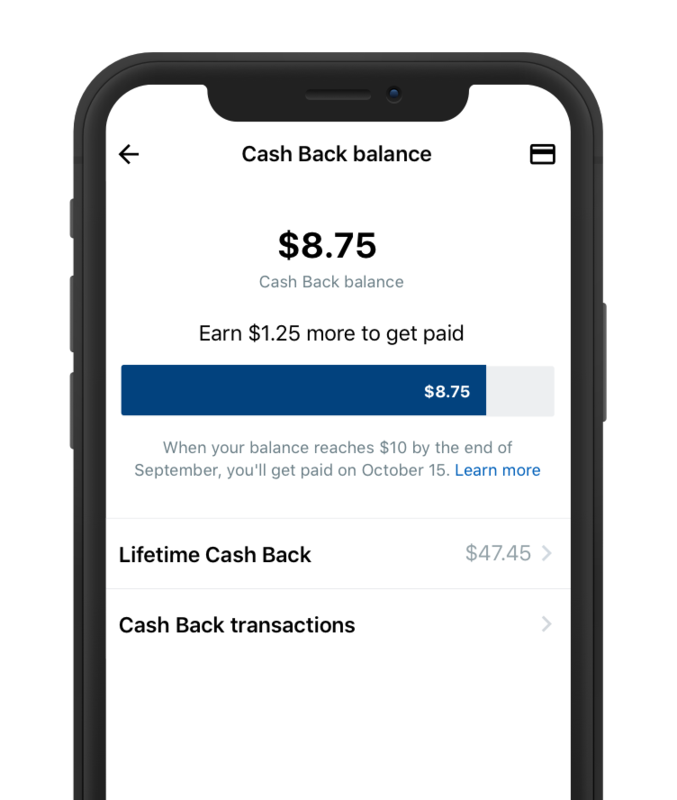 When your NerdWallet Cash Back balance reaches $10 or more by the end of the month, you’ll automatically receive a payout on the 15th of the next month. (So, if you earn $15 by September 30, you'll get paid $15 on October 15.) Your payment arrives as a statement credit on your payout card (the first card you added). How can NerdWallet hook up so many deals? Through our partnership with Empyr, Inc., stores pay us a commission for sending you their way and part of that commission is shared with you as cash back rewards. How do I maximize my cash back? Browse nearby deals on our handy map to make sure you’re turning every spending trip at participating stores into an earning one. Then multiply your savings by using a coupon or rewards credit card — both pair perfectly with NerdWallet Cash Back.